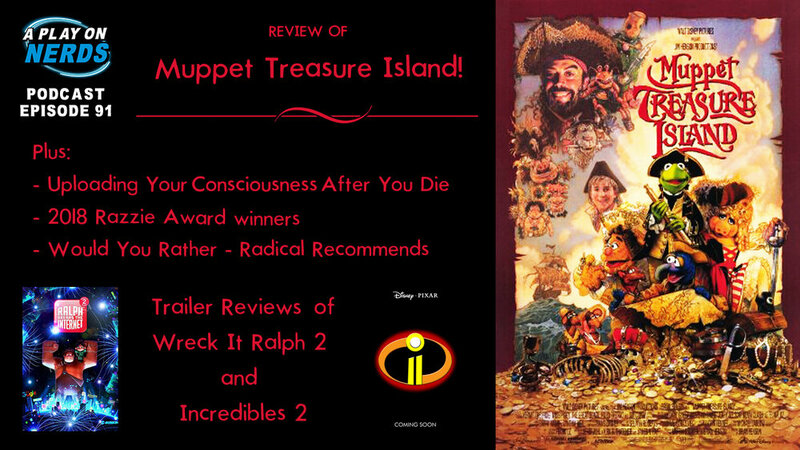 Episode 91 - Muppet Treasure Island Movie Review! In today's episode we continue our ongoing series of reviewing every film from the Muppet and Star Trek franchises (each of Steve and Jarman's favorite franchises respectively) by reviewing Muppet Treasure Island! 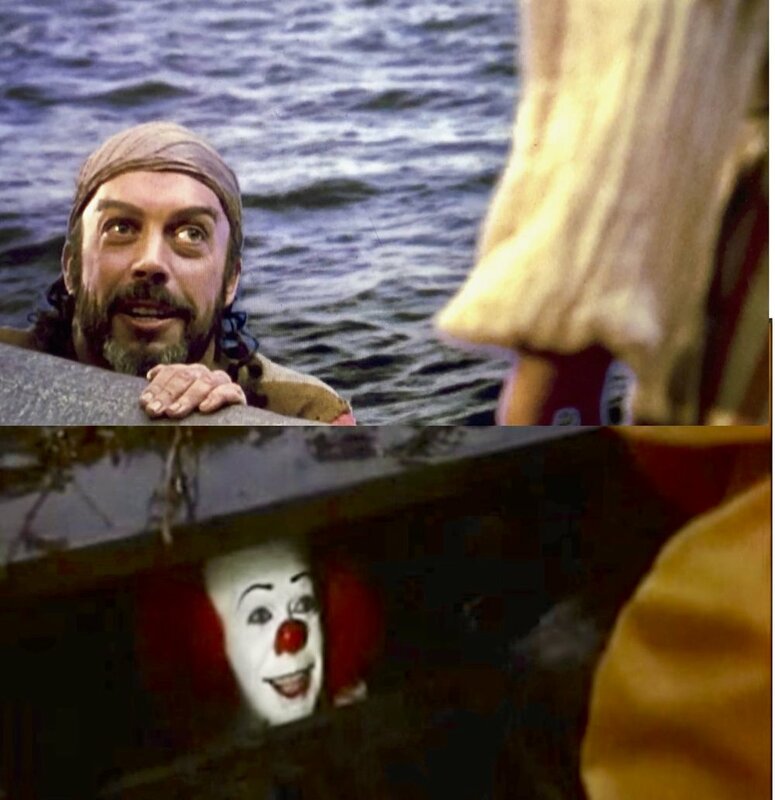 With the always wonderful Tim Curry. For Nerdy News we cover possible developments in uploading your consciousness after you die and do our (new) annual rundown of the winners of the 2018 Razzie Awards. We also have a return of Would You Rather and Radical Recommends, and Trailer Reviews of Ralph Breaks the Internet: Wreck-It Ralph 2, and The Incredibles 2.